From the Red Scare to the Space Race, Alaska and Hawaii entered the Union and music died when Buddy Holly, Ritchie Valens, and The Big Bopper died in a fatal airplane crash. 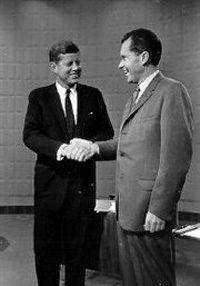 In 1959, The Eisenhower Era was about to come to an end, passing the torch from cautious conservatism of the WWII Leadership generation to the optimism of Kennedy's Camelot. The political climate was still dominated by the tensions between the United States and the Soviet Union. 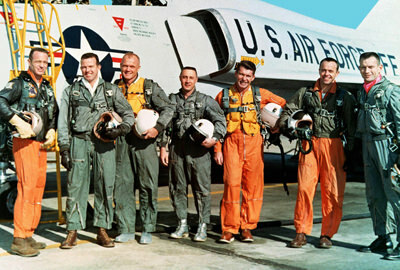 America was still playing "catch-up" in the Space Race, but seemed to be gaining ground with the announcement in April of the "Mercury Seven", a group of military test pilots who would be the first Americans in space. Although America seemed to be making technological advances against the Communist Menace, that Menace was setting up housekeeping in our own backyard was Fidel Castro came to power in Cuba, just 90 miles off the tip of Florida. Soon after Castro entered Havana in January, he was visited by "Mr. Sunday Night", Ed Sullivan. During the interview, Sullivan treated Castro as a scrappy revolutionary and asked him about his background as an athlete. There is an urban legend that Major League Baseball scouts had looked at Castro, and that the Cuban Revolution may have been put aside for a baseball career, but this is a myth. As Castro's hold on Cuba solidified and he built ties with the Soviets, fears of a Communist stronghold in the Western Hemisphere became a subject for discussion on Meet the Press. The biggest fears over Communism were military, specifically an atomic attack. 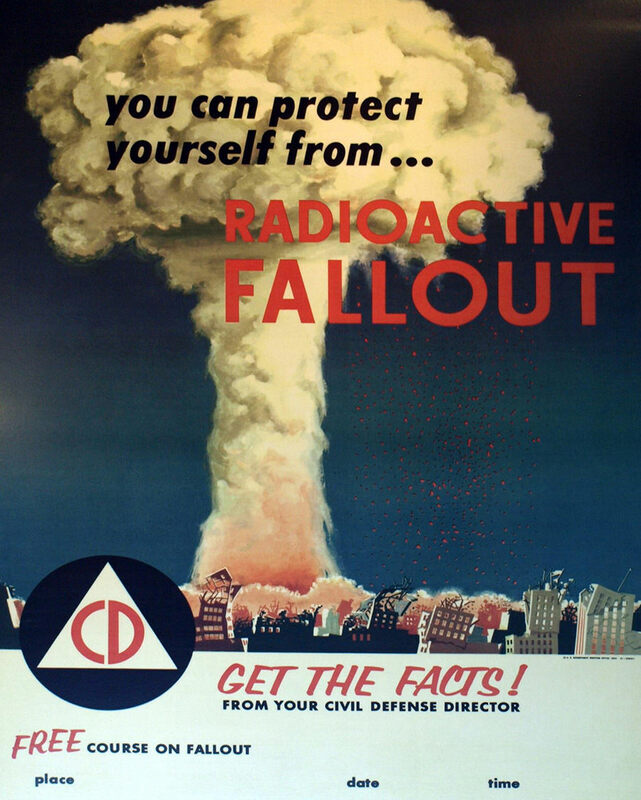 Civil Defense organizations did their best to prepare the civilian population for atomic warfare and explained CONELRAD, Control of Electromagnetic Radiation. CONELRAD was designed to prevent enemy pilots from using commercial radio broadcasts for guidance while still providing emergency information to the populace. In hopes that a cultural exchange might ease tensions, the American National Exhibition opened in Moscow in July. Vice President Richard Nixon took Soviet Premier Nikita Khrushchev on a tour of the exhibits, which became the scene of "the Kitchen Debates". Both politicians made strong cases for the superiority of their respective nations, but the comparisons remained technological and cultural, ignoring military, territorial, and nuclear issues. The episode did much to enhance Nixon's reputation as a statesman in the next year's Presidential Election, which Khrushchev claimed to have done everything in his power to ensure Nixon's defeat. Domestically, perhaps the biggest news was the entry of Alaska and Hawaii as the 49th and 50th States of the Union, although not part of the contiguous States, both had high strategic importance. The music world was shocked when a chartered airplane carrying Buddy Holly, Ritchie Valens, and The Big Bopper crashed during foggy conditions in Iowa, "the day the music died" would later be memorialized in the song "American Pie" (1971) by Don McLean. By this time, television had established itself as the dominant media as color broadcasts became more common and the price of color sets began to come down. Not quite dead, network radio produced some of the greatest episodes of its best programs, including Suspense, Gunsmoke, The Grand Ol' Opry, Have Gun-Will Travel, You Bet Your Life, and Yours Truly Johnny Dollar. Since becoming one of radio's most popular characters in 1935, Fibber McGee and Molly finally went off the air in 1959 due to Marian Jordan's health concerns (she would lose her battle with ovarian cancer on April 7, 1961). NBC attempted to bring Fibber McGee and Molly to the small screen in the 1959 season with younger actors (only Harold Peary playing Mayor LaTrivia instead of Gildersleeve came from the radio days) but the program was not well received and canceled during its first season. January 1959 - Castro and the victorious revolutionaries arrive in Havana in January. Castro soon becomes Prime Minister and later Premier of Cuba, and alligns with the USSR after being rebuffed by the US. The 49th State, Alaska, enters the Union on Jan 3, and the 50th, Hawaii, on August 21. The "Mercury 7" Astronauts are announced by NASA on April 9. Bonanza debuts on NBC TV, one of the first series to be filmed and broadcast in color. The Twilight Zone premiers on CBS. Buddy Holly, Ritchie Valens, and the Big Bopper are killed in an airplane crash near Clear Lake, Iowa, on February 3. Vice President Richard M. Nixon and Nikita Kruhschev meet at the openning of the American National Exhibition in Moscow and hold "The Kitchen Debate" over the advantages of Capitalism and Communism on July 24. The full-sized Buick LeSabre was introduced for the 1959 model year and Studebaker pinned its hopes on the compact Lark while British Motor Corporation introduced the original Morris Mini-Minor. Mutual dropped The Kate Smith Show while Our Gal Sunday, This is Nora Drake, Backstage Wife, and Road of Life all end on CBS. Be the first to comment on "1959"